Tadoussac Autrement wants to offer holidaymakers and people in the area new courses and opportunities to discover our region at an affordable price. For more details on our activities, the hours of outings, or to register, inquire at the reception of the Tadoussac Youth Hostel or call anytime at (418) 235-3333. It will be our pleasure to help you! Go on the adventure watch whales in the comfort of luxurious 12 passenger zodiac “Frank Slim”, with its sliding windows and its first class plane seats! 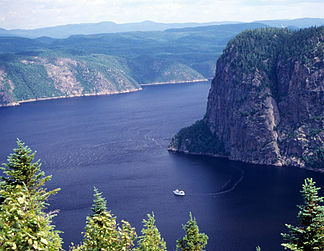 This intimate cruise in Saint-Lawrence river and Saguenay Fjord allows a personalized and unique trip. 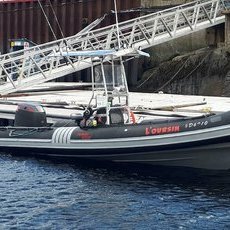 In our 8 passenger zodiac L’Oursin, discover the diversified wildlife of Saint-Lawrence River and Saguenay Fjord while fishing cods, Sebastes or sea trout! 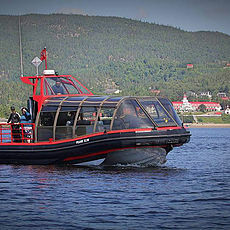 The Saguenay–St. Lawrence Marine Park is a unique place in the world. Come and discover more about it!